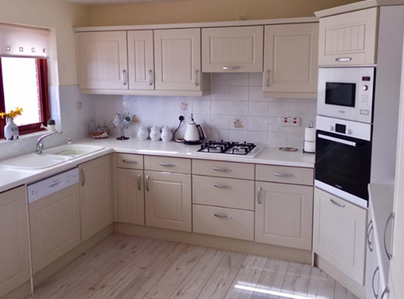 Kitchen Wizard are a family run business based in Caerphilly specialising in kitchen makeovers. We offer a professional service focusing on quality and customer satisfaction. Many of our customers have been referred to us by their family or friends who also experienced the kitchen wizard makeover. 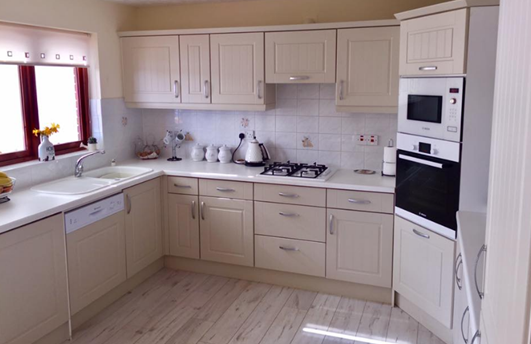 We have a choice of over 600 kitchen door colours and styles, complimented by matching trim, worktops and appliances if required. Most makeovers are completed in 1 - 2 days with a minimal amount of mess and fuss resulting in a new look kitchen at a fraction of the cost. Jeff and Ben done a fantastic job of the kitchen. They work together well and are very polite. Spotlessly clean and tidy. Would highly recommend to anybody. Also Tom in the office who sorts it all out was excellent and helpful. A highly professional and excellent value for money service. Kitchen wizard offered and provided wonderful personal tailored fitting & measuring - excellent attention to detail with outstanding craftsmen who fitted new kitchen. Ben and Jeff did an excellent job. They worked professionally and were very pleasant and polite. No request was too much for them. Am very, very pleased with the results. I strongly recommend them. Jeff and Ben arrived at the time arranged and got on with dismantling my old cupboards and worktop and fitting my new ones. Due to their skill it was all finished in 5 hours with no mess. 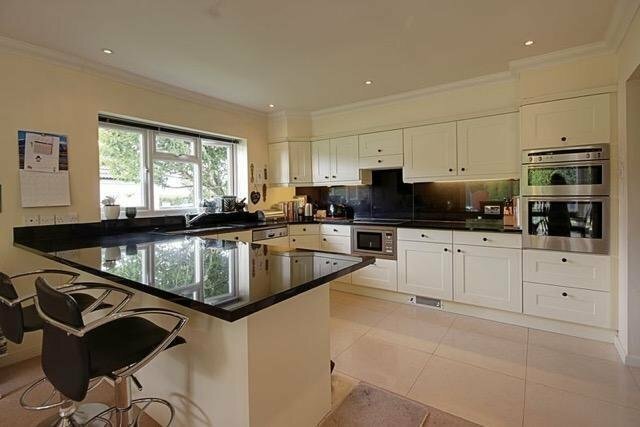 It looks like a new kitchen, good material used throughout but much cheaper and quicker to fit. The two fitters are a credit to their company. The salesman who came to the house to see what I wanted, was polite, brought samples, told me all about the process of making and fitting my new kitchen unit doors, draws etc. Measured all for exact size I paid a deposit and rest when the work was finished, and gave me a date! All was done as arranged, filter on time, worked hard, was pleasant and did a fantastic job. My old kitchen looks brand new for a fraction of the cost! It has been an absolutely professional outfit right from the get go. Their customer service is second to none and standard of workmanship is outstanding. The price is phenomenal - a truly amazing result, would highly recommend. Thank you!! Huge thank you to Brian and his fab team! Anybody out there looking to overhaul their kitchen please, please look these people up! You will never be disappointed. Highly recommended very proficient and reliable. Work excellent and will tell anyone about them, they were wonderful. Brilliant fitting team - Jeff & ben - nothing too much trouble. Efficient & totally reliable, great job - exceeded expectations. Would definitely recommend. Wonderful job done, clean and thorough. Wish I had kitchen fitted sooner best ever.